Mclaren P1 Adopts Twin Power to Deliver Phenomenal Torque, instantly. The McLaren P1™ will have the combined force of two highly-efficient powerplants, offering the optimum mix of superb throttle response, day-to-day drivability and top speed. A mid-mounted 3.8-litre twin-turbo V8 petrol engine and a highly effective electric motor give a combined output of 916PS (903 bhp) and a maximum torque figure of 900Nm, ensuring instantaneous throttle response through the rev range, more akin to a naturally aspirated engine. Emissions of less than 200g/km on the combined cycle are reduced to zero in full electric drive mode, while the Formula 1-derived DRS and IPAS technologies offer an increase in straight-line speed and an instant boost of power. 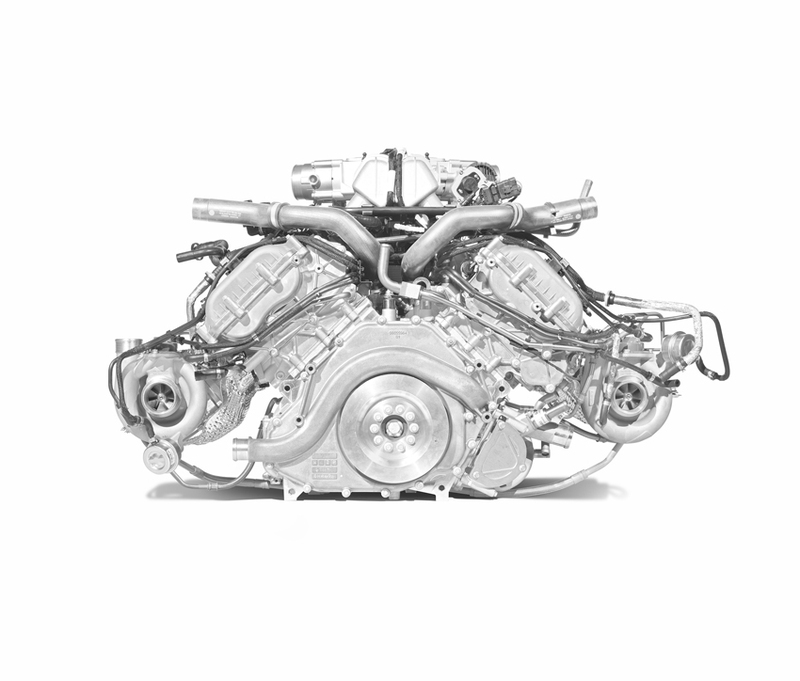 The 3.8-litre twin-turbo V8 petrol engine in the McLaren P1™ is a new version of the familiar M838T unit, that has been significantly upgraded to optimise cooling and durability under the higher loads. The engine block has a unique casting to incorporate the electric motor. The petrol engine produces 737PS (727 bhp) at 7,500rpm, and 720Nm of torque from 4,000rpm. To optimise efficiency of the petrol engine, extensive testing and development work has always been carried out with McLaren Automotive technology partner Mobil 1 on lubrication and hydraulic fluids. 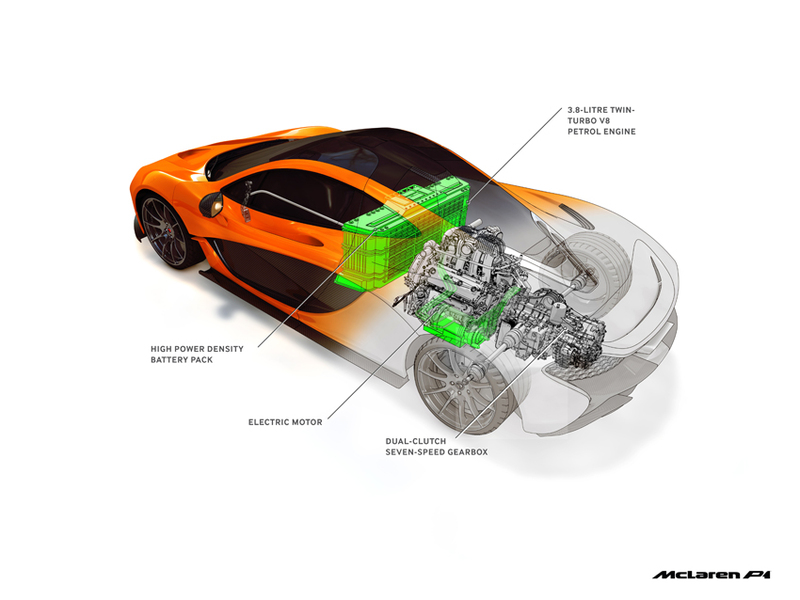 The lightweight electric motor, developed by the McLaren Electronics arm of the Group, produces 179PS (176 bhp), and is unique to the McLaren P1™. The motor produces maximum torque of 260Nm instantly from a standstill, greatly increasing the throttle response of the McLaren P1™, and peak combined torque of 900Nm is delivered from just 4,000 rpm. In addition to this, the McLaren-developed ‘boost’ system, IPAS, provides up to 179PS instantly. The instant response of the electric motor provides a sharper throttle response more associated with a normally aspirated engine, and the significantly enhanced air-charging system enables the McLaren P1™ to have more top-end power – the perfect combination for high performance. A further benefit is that the e-motor can provide faster upshifts. This is achieved through the application of instant negative torque at the point of shift, making the engine revs drop as quickly and efficiently as possible to the required engine speed for the upshift. In addition to the obsessive weight-saving measures demonstrated throughout the McLaren P1™, so too is the optimisation of usable energy. When off-throttle the electric motor provides additional drag torque, recovering energy to the battery that would otherwise be lost to the brakes. The McLaren P1™can be driven in a variety of modes, powered by the engine and electric motor together, or solely by the electric motor. This ensures versatility and ease of transportation, allows use in low emission zones and residential driving is optimised with near-silent running. Maximum power comes when using both powerplants together, but even in E-mode the performance is strong. E-mode is the most economical mode available with zero tailpipe emissions. In E-mode, the McLaren P1™ can travel more than 10km with electric-only power – enough for most city journeys. When the battery is empty, the petrol engine will automatically start to maintain drive and charge the battery. 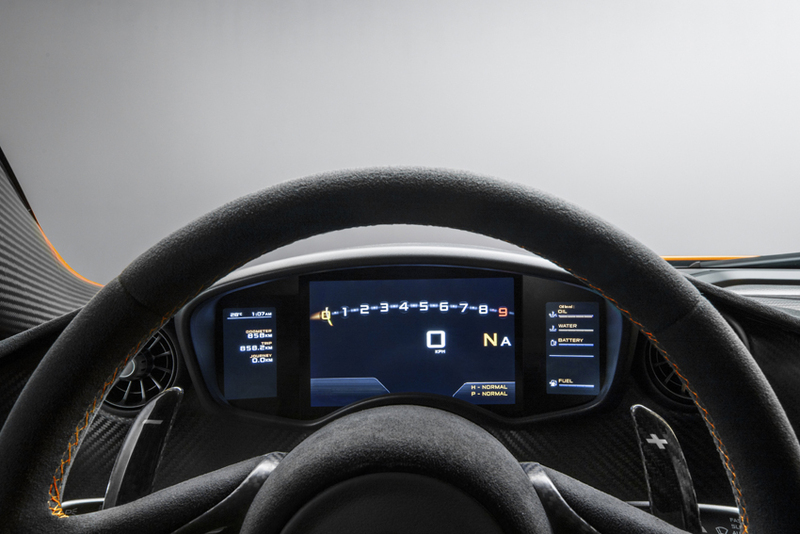 The power available via the petrol engine and electric motor is further enhanced on the McLaren P1™ through two steering wheel-mounted buttons which activate the DRS (Drag Reduction System) and IPAS (Instant Power Assist System). 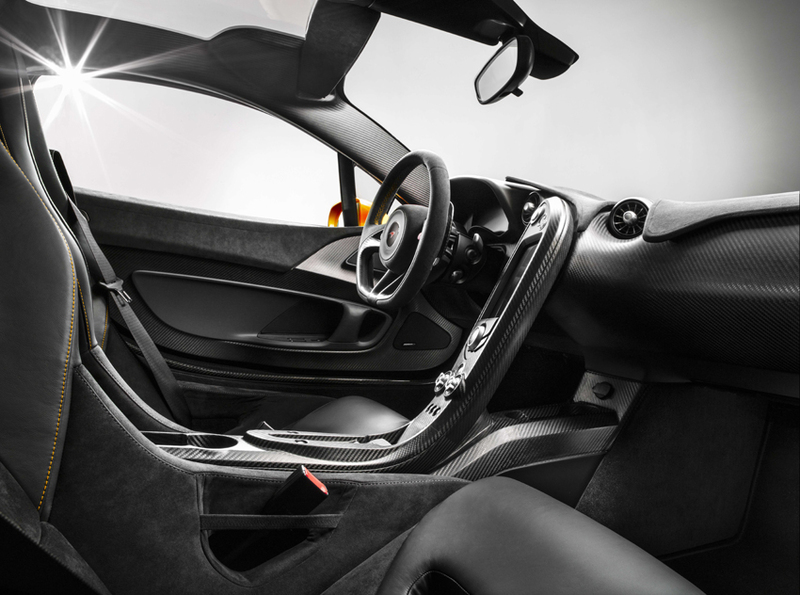 The Drag Reduction System used on the McLaren P1™ is a technology similar to that employed on Formula 1 cars. Speed is increased by reducing the amount of drag on the rear wing and, where the MP4-28 has a moveable flap on the rear wing, the McLaren P1™ has a wing that reduces in angle to lower drag by 23%. The system immediately deactivates when the button is released, or if the driver touches the brake pedal. IPAS is designed to deliver power rapidly for high performance acceleration, and provides 179PS of instant additional power. 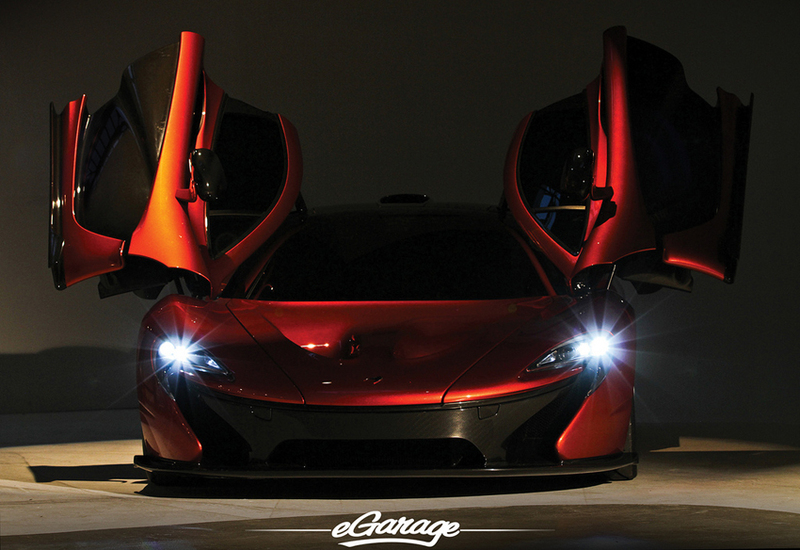 In developing the IPAS technology for the McLaren P1™, power delivery was prioritised over energy storage. This is achieved through a groundbreaking, lightweight battery pack, which offers greater power density than any other automotive battery pack on sale today. The high power density has been achieved through a combination of high power cells, low pack weight and an innovative cooling system. The battery weighs just 96kg, and is mounted onto the underbody of the high-strength Formula 1-grade carbon fibre MonoCage chassis, which seals the unit in the vehicle, thus avoiding the added weight of any unnecessary battery packaging. Due to the amount of power being supplied by the battery, complex cooling is required to guarantee cell performance and reliability. The coolant flow is balanced so each cell is cooled to the same temperature across the entire pack. In addition to the battery being charged via the engine, the McLaren P1™ is also equipped with a plug-in charger which can recharge the battery, from empty, in only two hours. The plug-in charger can be stored in the luggage compartment, although the customer may choose to store it off-board – in a garage or the pits – to save weight.